Hi all! 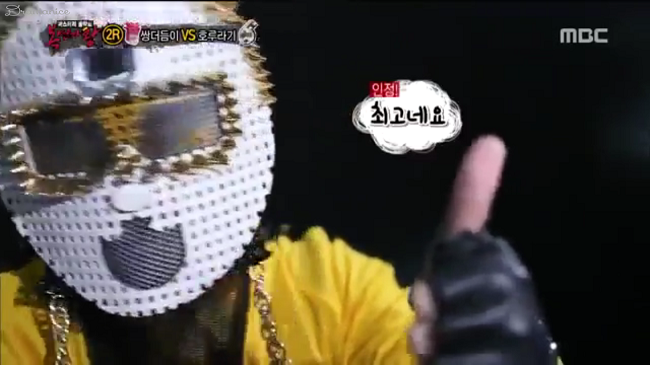 I’m back with King of Masked Singer recaps and, boy, does it feel good to be back watching and recapping this show. Yes, I’m sooo upset that I missed the EXO Chen episodes but ngl if I did recap that it would have been a lot of fangirling (and yes, I probably would have known it was Chen. SUPER FAN!). Anyways, it’s great to be back and this episode was really entertaining and not only because of the singing. Sandeul’s face accurately projects what I and everybody else who watched this episode felt like throughout most of the episode.